Do I Have Poor Basement Ventilation? 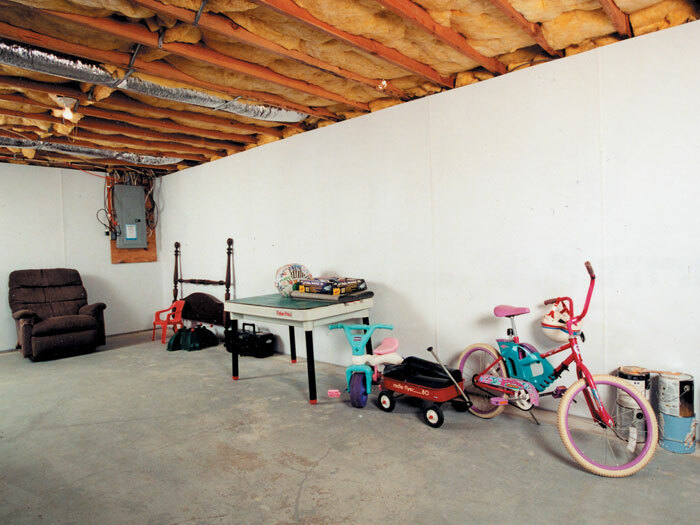 The Case Against Basement Ventilation -- And What Works! 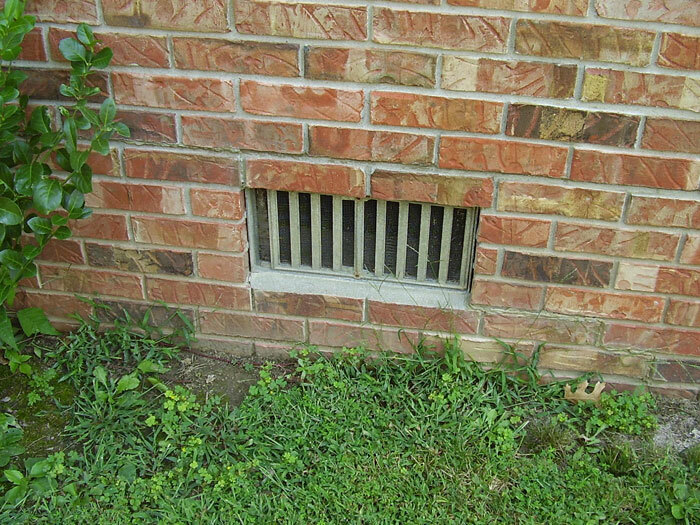 The importance of venting your basement is a building science myth that leads to rot, mold, musty odors, and high utility bills. For several decades, there has been a push from builders and contractors to ventilate below grade spaces with outside air. This includes designing vents into crawl spaces and basements. 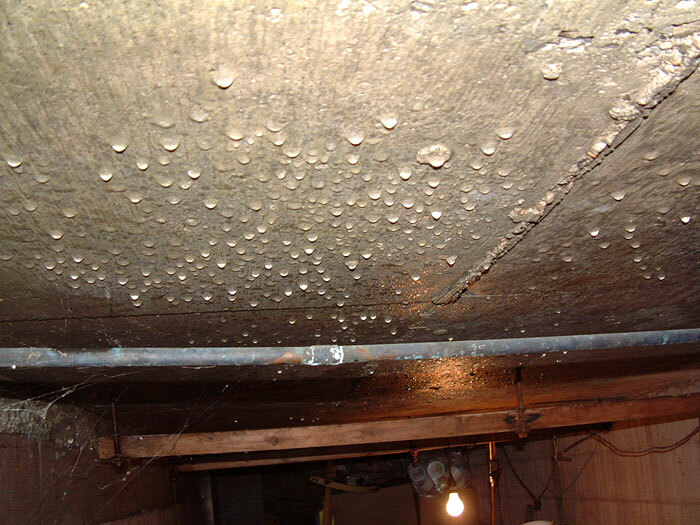 After a lifetime of this practice, we know that basements and crawl spaces are notoriously damp, moldy spaces. If vents were doing their job, then how could this be? Does the structure need more ventilation? At Basement Systems, we use clear, simple building science to explain why our methods of sealing and drying basements have been used successfully in basements all over Canada, the United States, and the United Kingdom. 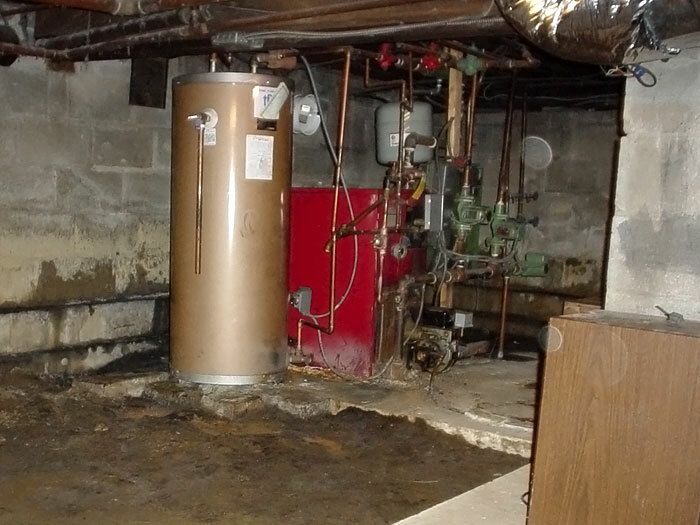 IN the following article, we'll explain exactly why venting a basement does not work -- and has not worked in homes for over fifty years. We have proven, warranted methods to keep your basement dry all the time! Our systems have been used in hundreds of thousands of basements worldwide! Call us for a free basement waterproofing quote today! What happens when you vent air in your basement when it's rainy, humid, or damp outside? Condensation, as seen above, forms on all surfaces. The warmer air gets, the more moisture it can hold. Because of this, summer air holds much more humidity than cold winter air does. Because the amount of moisture (humidity) that air can hold is relative to its temperature, we refer to how moisture-laden the air is as its "relative humidity". When the air is full of humidity and can't hold any more moisture, we refer to that air as having 100% relative humidity. Any additional moisture after that point will be released onto cool surfaces nearby in the form of condensation. How much does cooling the air affect its relative humidity? For every degree (Fahrenheit) that the air drops, its relative humidity will raise by 2.2%. What Does This Mean For My Basement? How does this science connect to your basement? Consider this: The earth around your basement remains a constant 55 °F (12.7 °C) all year long. So, hypothetically, let's say that the temperatures outside are 85 °F, with a relative humidity level of 68%. We know that this means that the air is 68% full of water at this temperature. Now bring that air into your basement, where it's cooled to 65 °F. That's a difference of 20 °F, right? So 20 times 2.2% is 44%. So the relative humidity of the air rises by 44%. But wait a minute -- 68% + 44% would make the relative humidity level 112%, right? And we know that's impossible. Once we reach 100% relative humidity, all additional humidity will be deposited on the surfaces in the basement as condensation. If we vent our basement with outside air, we actually bring moisture and humidity into our space -- creating a perfect environment for mold and rot in your home. During the winter, cold air means a strain on your utilities -- including your furnace, air ducts, water heater, and hot water pipes. Even when your basement is not being used as living space, you still use it to store your utilities, including your water heater, furnace, and other utilities that need to stay warm. 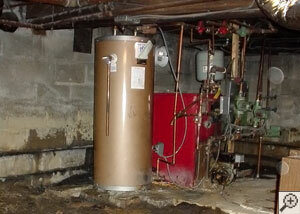 When cold air is vented into the basement, it will chill everything there, as well as the floor above. Your first floor will feel uncomfortable underfoot, and your utilities will be forced to work harder just to operate normally. Additionally, due to the force of the stack effect, the air in your basement will continually move upwards, pulled to the first floor as hot air rises and leaves your upper levels. This cold air that you're bringing into your home will then cool your entire house, making it drafty and unpleasant. Meanwhile, your utilities will have to work harder a second time to condition this air. So we know that summer air adds moisture and humidity to your basement, while cold winter air costs you heavily on your utility bills. But if ventilating your basement doesn't work, what can you do that won't create a basement problem? At Basement Systems, we recommend taking these four steps to ensure that your basement stays dry, comfortable, and more energy efficient. 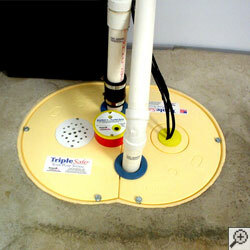 The first thing you should do in your basement is address any sources of standing water. Groundwater leaking in your home will directly damage your personal items, seeping into your carpet, drywall, fiberglass insulation, and any other absorbent materials in the basement. Once this process begins, mold can begin to grow in as little as 24-48 hours. It will grow on both visible and invisible surfaces, damaging your property and presenting a potential health issue. A sump pump system and perimeter drain system are a great combination to address groundwater issues and ensure a dry, reliable space. Adding in a battery backup system adds that extra assurance that you're protected. 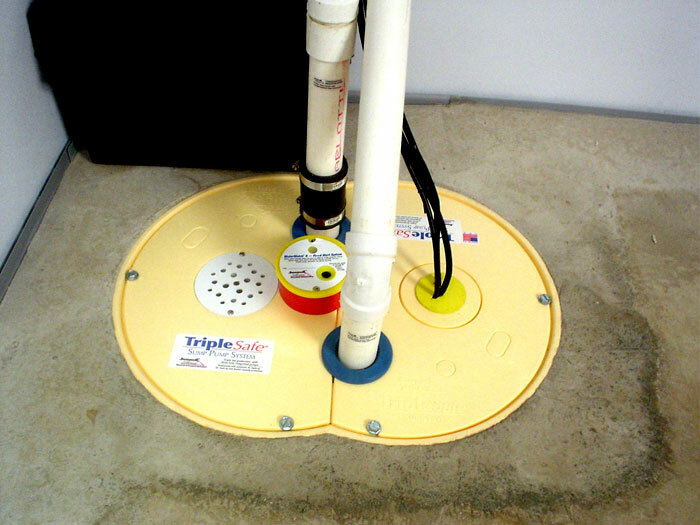 Once you've installed a sump pump and perimeter drain, your basement is protected from flooding, but not from dampness and humidity. After more than 20 years in the business, there's one thing we're sure of: waterproof paints and coatings are not the answer. 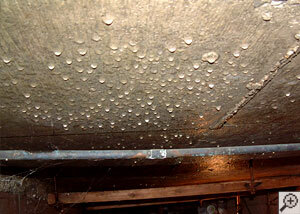 These coatings will begin to peel and flake off in as little as six months, leaving an ugly mess in your basement. To make matters worse, these coatings are nearly impossible to clean off the walls once they've been applied. Instead, Basement Systems recommends mechanically attaching wall panels to your basement in the walls. One example is BrightWall®, shown in the photo above. We have six different basement wall products with many different purposes (including insulated panels) -- but all of which will hold back the humidity that comes through your basement walls. And if you have moisture seeping through your basement walls, our wall products can be tucked into your perimeter drain system so the water is directed to a sump pump. Along with sealing your basement walls, keeping humidity from rising off the basement floor will make your basement a drier, more comfortable space. Our basement floor matting is a great way to seal off your basement floor while also making the surface more comfortable and attractive. 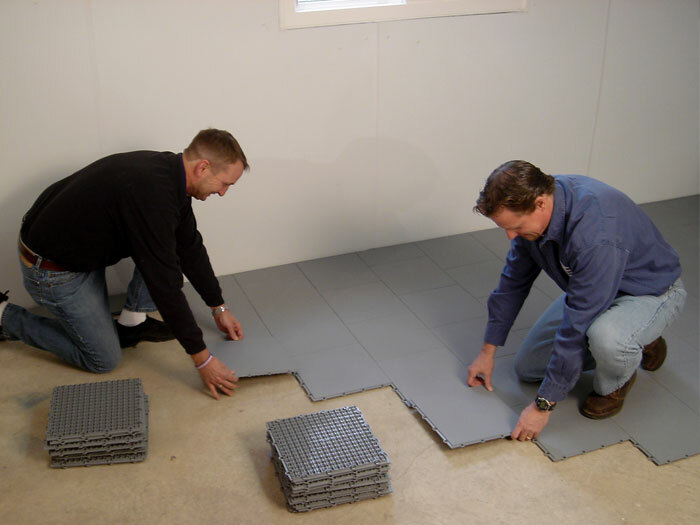 Our subfloor tiles will create a vapor barrier on your basement floor, while its distinct raised design will create a thermal break on your floor, making the tile's surface up to ten degrees warmer than the cold concrete below. Our subfloor tiles are compatible with tack strips, as well as other custom flooring options. We also offer a wide variety of finished flooring options, including water resistant tiles, carpeted tiles, and faux wood flooring. 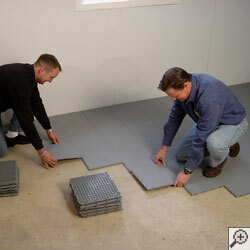 Our installations are fast, and the floor is ready immediately after it's installed. Once all standing water has been eliminated and the basement has been sealed from the influence of outside moisture, you should consider installing a basement dehumidifier. 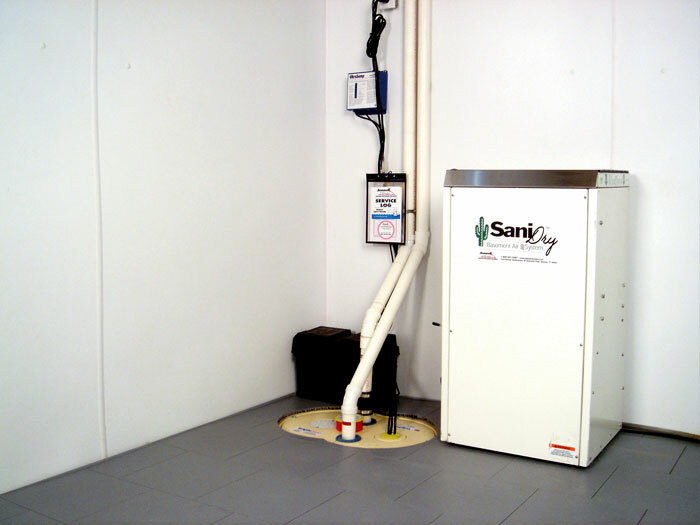 At Basement Systems, our SaniDry™ XP Basement Air System includes a self-draining design and an Energy Star rating that's capable of removing 110 pints of water from the basement every day. Its powerful blowing motor is strong enough to dry a finished basement when ducted from a closet or utility area. As an added bonus, our system includes an air filter that will remove particles from the air as small as 2 microns -- making it able to remove mold spores, dust mite waste, pet dander, and other sources of allergens from the air. 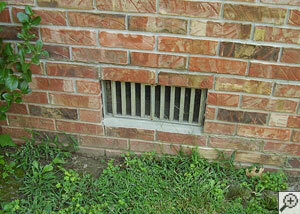 An optional odor filter can also be added to get rid of any "musty basement smell" you may be experiencing. 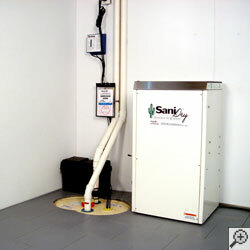 When it comes to excellence in basement dehumidification, there's nothing like the SaniDry™ XP! 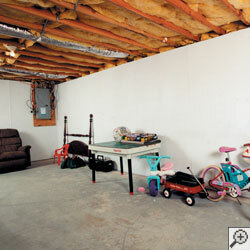 We Can Help You Dry Your Basement -- Permanently! We base our waterproofing methods on proven methods that make sense for you and your home. Our waterproofing systems include a lifetime warranty that can be transferred to the next owner of the house should you choose to sell later. We'd love to meet with you to show you what we can do for you! For a free basement waterproofing quotes, call or e-mail us today! 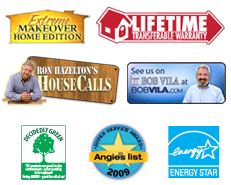 Each of our solutions includes an on-site visit, personal inspection, and written cost quote. We'll also send you a copy of our full-color waterproofing book -- all at no obligation! Our network of locally owned and operated dealers are located throughout Canada, the United States, and the United Kingdom. To schedule your free appointment, contact us today!